Calcium carbonate precipitation is a widespread process, occurring in different bacterial taxonomic groups and in different environments, at a scale ranging from the microscopic one of cells to that of geological formations. It has relevant implications in natural processes and has great potentiality in numerous applications. For these reasons, bacterial precipitation has been investigated extensively both in natural environments and under laboratory conditions. Different mechanisms of bacterial involvement in precipitation have been proposed. There is an agreement that the phenomenon can be influenced by the environmental physicochemical conditions and it is correlated both to the metabolic activity and the cell surface structures of microorganisms. Nevertheless, the role played by bacteria in calcium mineralization remains a matter of debate. 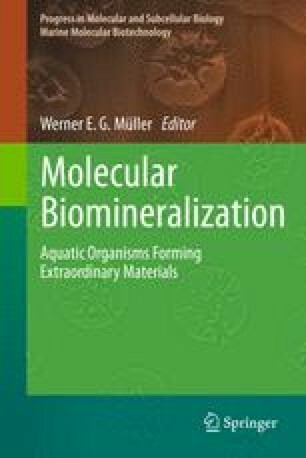 This chapter reviews the main mechanisms of the process with particular focus on what is known on molecular aspects, and discusses the significance of the precipitation event also from an evolutionary point of view.